Now that the New Year is almost upon us, the world and their granny will be dusting off the gym gear. making ready for their valiant attempt to shed some serious weight come January and the months following. Weight loss is GREAT – especially if you are packing more than a few extra pounds. It’s not so good however if you are yo-yo dieting and driving yourself insane trying to keep off the pounds. Why torture yourself physically and mentally? I suggest that if you are constantly struggling to keep weight off then there are deeper underlying issues that are leading to a lack of motivation and some unresolved conflicts around food. Over-eating is always a symptom, the surface phenomenon. Something to think about! Come 2019 I hope you decide that losing weight is going to be a by-product of a new and healthier lifestyle and NOT the main goal of any changes you implement. I think juicing is one of the easiest and most effective ways of losing weight and keeping it off. You can’t flunk out though after your first juice fast. If you do you are more likely to gain more weight than before you even started. Juicing or juice fasting – depending on the duration of your fast or whether it is combined with solid foods – provides numerous health benefits. This mode of introducing nutrition to the body is also very effective in aiding weight loss as the process extracts the maximum nutrition possible from fruits and veg. thus giving the body all it needs and in the process reducing cravings for sugar and other fatty unhealthy foodstuffs. Much of the nutrition in foods is normally discarded with the waste – straight down your toilet. Sorry for the mental image. It is also a fact that the older we get the more difficult it becomes for our bodies to extract the nutrition required from our daily meals. When you first embark on a juicing regime, it is a good idea to ease yourself into it. Begin by juicing fruits with a much smaller amount of vegetables – maybe 10-20% veggies. The sugars in the fruits will make the extracted juices much more pleasing to your palate. Vegetable juices are much more nutritional and fare better in helping you lose weight but they are generally more bitter to taste. The green variety, like spinach, kale and broccoli are some of the best you can juice, but introduce these a little at a time. Remember, this is part of your new lifestyle, so no need to rush. Besides if you make the juices so unpalatable that you cannot even stomach them, you will soon find your motivation waning until the time come when you give up completely. In order to get the most from your produce, make sure to buy fresh and juice within a day or two. Make sure to peel the skins or scrub with a hardy brush to remove any toxins that remain on the fruits through crop spraying. It is always best to consume the fruit and vegetable juices immediately after extraction. If you can’t do so or you are juicing in bulk, make sure to store the juice in airtight containers. You can buy these on Amazon.com or at your local household goods store. Kilner is one brand I can think of. Sunlight and even artificial light can cause the nutrients in your juice break down, thus destroying much of its goodness, so having it in an air-tight jar that blocks out any light will ensure peak freshness and maximum benefits. It is also a great idea to keep your juicer and even your fruits and vegetables in plain sight in your kitchen as frequent reminders of the new path you have embarked on. You’ve heard of the saying ‘out of sight, out of mind’, right? When your juice extractor and produce are prominently displayed you are much more likely to juice. 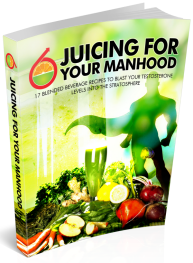 One of the most important things to remember about juicing – especially if your aim is to lose those extra pounds – is that the more you juice the more you will want to juice. I personally, am finding that the more times I make the commitment to have a healthy nutrition packed juice at least once per day, the more I crave these healthier choices. It is also becoming apparent that fatty, processed foods are making me feel more and more unsatisfied. Believe me, that is a miracle, as I have binged on every junk food on the market for as long as I can remember. A lessening of the craving for crappy food and a strengthening of the desire for the healthier, more nutritional variety is EXACTLY why a juice plan will lead you towards your goal of losing weight. There is no reason why you can’t make this a permanent way of life – rather than a fad diet. At the end of the day it’s up to YOU. Make a start today and stick to it throughout the best part of 2019. You’ll find – as I have – that the more you juice, the closer you will get to changing your bad eating habits FOREVER. Click Here Now! 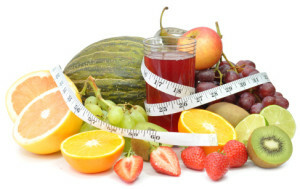 to Discover a Step by Step Plan for Losing Weight through Juice Fasting. 8000 Success Stories Can’t Be Wrong!